Continuing the story of us. So, we roll into 1996 feeling like we’re on the way. We’ve been paid for our first gig, at Trafford Hall back in November. We’ve also learned our first lesson. Because we hadn’t said expenses would be extra when we agreed the price, we’ve actually made no money from the work! Spent it all on materials and printing and just putting it all together. Oh well, we won’t do that again. And anyway we’ve learned loads. An idea’s just an idea ’til you’ve tried it out in real life, and now we have. What’s next? We’re full of confidence now. Thinking our ideas about senses and places and creativity could be applied almost everywhere. So we experiment. 1996, the Penny Lane collage. In a New York gallery, and in the Liverpool Echo. 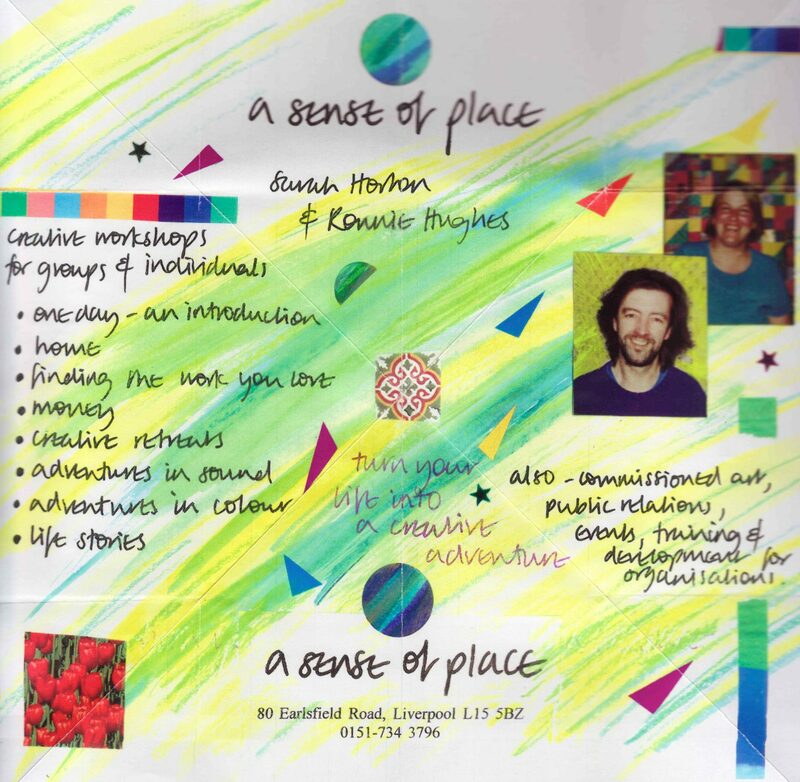 While we’re both still doing four days a week at our day jobs in different housing associations, it seems like we spend the other three days and most of our evenings playing with possibilities for ‘a sense of place’. First of all we use it to open up our own senses and colour in our lives and our home. We also discover the importance of having clear spaces to live and work. 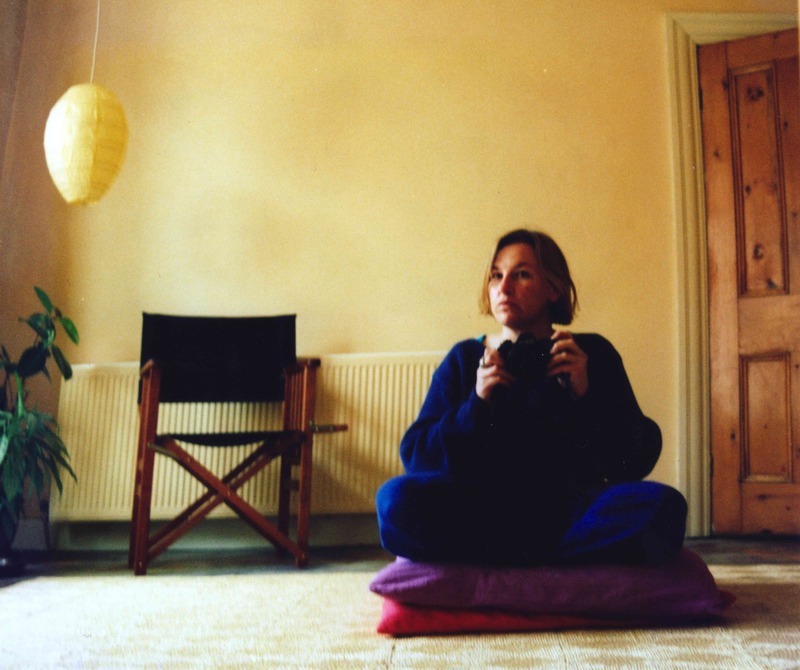 So as well as becoming highly colourful, our house empties of stuff, becoming in itself, a creative workshop where only beautiful AND useful things can survive and thrive. Our local Oxfam fills up with the things that used to surround us. 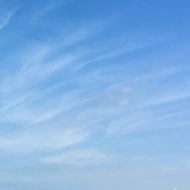 The Zen of clearing. Our house empties out. In stopping being a Director at my Liverpool Housing Trust job, I lose my suits. I also stand over the swing bin in our kitchen one evening and cut all of my ties in two. I walk constantly in Sefton Park, near here. Walking, thinking, stopping, writing. Meditating on possibilities, now we are expecting our idea to fly. Title panel of Sarah’s quilt. 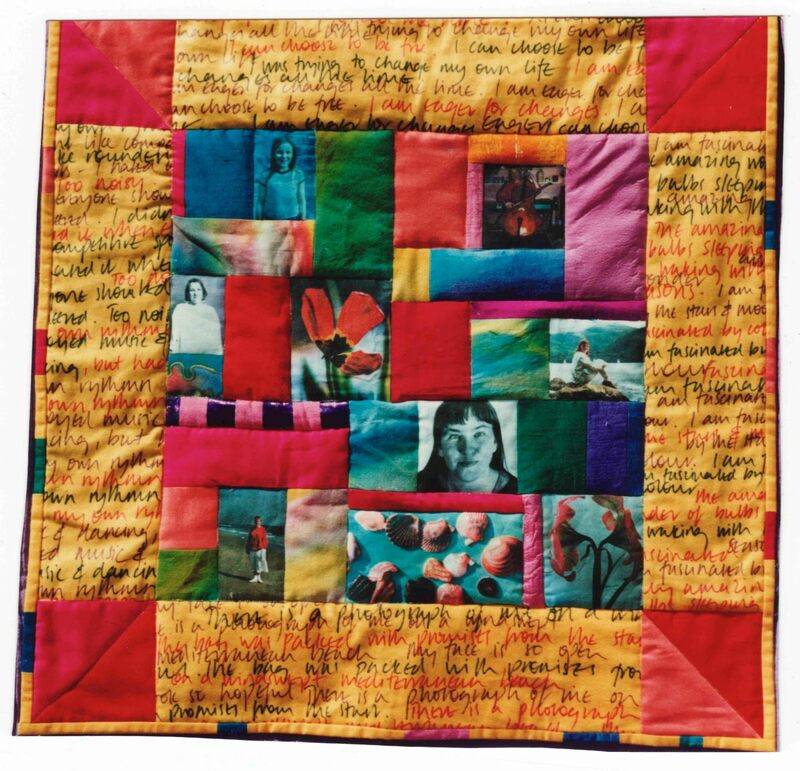 Sarah uses the large new cleared spaces at home to make brilliantly coloured quilts full of her energy and sense of urgency. Watching the artist at work doing them is like a miracle happening. Fabric is chosen, some of it photos, some of it written on, cut out, laid in grids out on the floor. Then carefully pieced and sewn into shape. Slowly emerging as a coherent finished piece. How she ever manages to hold the whole concept in her head as she does it I don’t, and will never know. One quilt, from early 1996 is like an autobiography. Containing pictures and writing from all of her life. It’s called ‘I am eager for changes’. 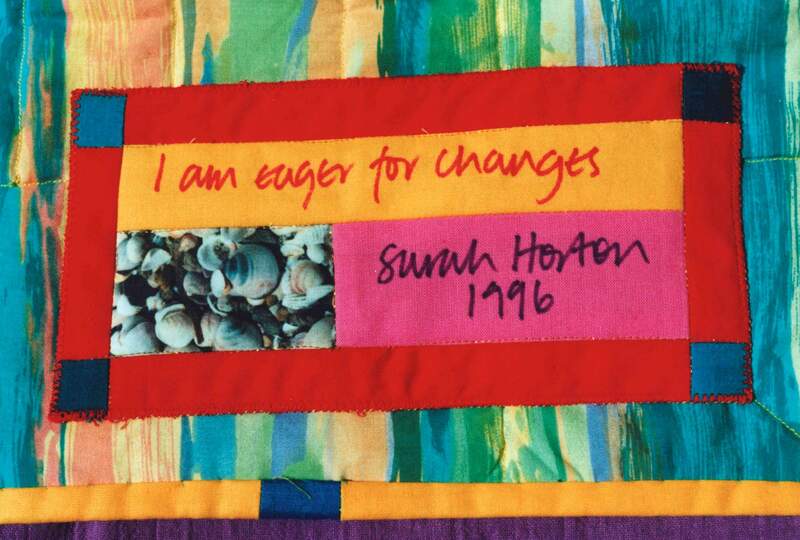 May 1996, ‘I am eager for changes’ Quilt, by Sarah Horton. We run a workshop called ‘Home’ – where we go into the customer’s house, help them clear out what they decide needs clearing. Then help them to design how they’d love it to be. Then help them to get going on this. All ending the day paint spattered and exhausted. I make up ‘Finding the work you love’ at the request of our friend Janet Barnes, who I told you about helping get us our first gig, in our story, part one. Janet came to me and said ‘You know all those books you read about changing your life? Well I don’t want to read them. So can you kind of guide me through the best bits of them and the things you’ve made up yourselves? Because I know I don’t want to stay in the job I’m in much longer.’ We do this, and before too long Janet and family are planning their move to a new life in Scotland. We run a Creative Retreat. We find two linked gritstone cottages to rent over at Great Burlees, near Hebden Bridge in Yorkshire. And we take our ‘Box of Ideas’ – our kit of creative tools and instruments. And spend two days with the people who come, painting, playing music, walking, meditating and making up the changes they want to make in their lives. As well as leading the sessions we do all the cooking, Sarah makes individual name signs for each person’s door – plus the by now usual folding, map-style advert for it all. Just a few people come, but we all love it, and our learning rolls on. Around this time Sarah comes up with another eye-catching hand-made advert for ‘a sense of place’ – the ‘pop-up’. It looks like a map but when you open it, it pops up out at you, due to the complicated origami in how it’s folded. It screams ‘creativity’. And one day Sarah teaches me and my daughter Clare, eleven at this time, how to make them. And the living room floor fills up with them and their envelopes as we package them up to send to potential customers. Everything still being done by hand. Hand-made, hand-written, We don’t even have a typewriter, never mind a computer, in these making it up days. At all of our events we do collages, about the people and the place we are in. People enjoy doing them and it helps them open up their creativity to produce something colourful so quickly. 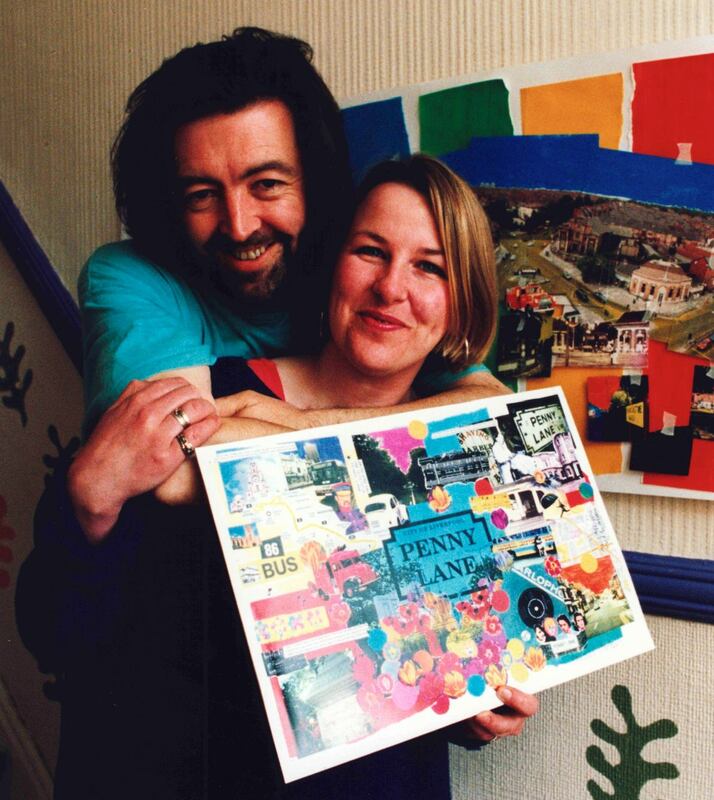 Then Sarah does a collage for a local shop about around where we live, the Penny Lane district of Liverpool. Full of Beatles stuff and general magical mystery, the collage not only sells loads for the shop, it also gets selected for an exhibition in New York. The Liverpool Echo send a photographer round and soon everyone at our day jobs knows the kinds of things we’re getting up to on our ‘days off’. One lunch-time I run into Polly who’s just been on one of our ‘One Day’ workshops, and she asks me where I’m going. ‘Back to work’ I say, ‘I’m just on my lunch-hour’. She looks a mixture of mystified and disappointed. ‘I’m surprised’ she says. ‘You were encouraging us all to go with our hearts the other week, and do what we want with our lives. And yet here you are on your way back into work. Is this what you really want to be doing?’ I tell Sarah about this and it really touches a nerve in both of us. We start to realise that before we can really fly, we’re going to have to jump. Meanwhile we carry on working and experimenting with ‘a sense of place’. As well as the personal ‘change your life’ stuff we also go into organisations and communities. For a couple of years now I’ve been doing some volunteer writing to help out the Big Issue in the North, a social enterprise that helps homeless people generate an income by selling its magazine. I’ve been doing art and occasional food reviews and I get to know Anne McNamara and Ruth Turner who run it. I tell them about ‘a sense of place’ and one day they take us on to do a day’s workshop with their Manchester vendors about what they might want to do next in their lives. Looking back from years later, there’s a lot we’d do differently about that day. But once again, we learn loads. And the beginnings of working with a social enterprise is deeply significant for our future. We also line up some work with the community in Netherley, Liverpool. Another ‘working in the place to work out what the people would like to do with it’ job. And all the time now we’re adding up the figures. We’re not earning much, but then we’re still mainly working for other people. How would it be if we were just working for ourselves? 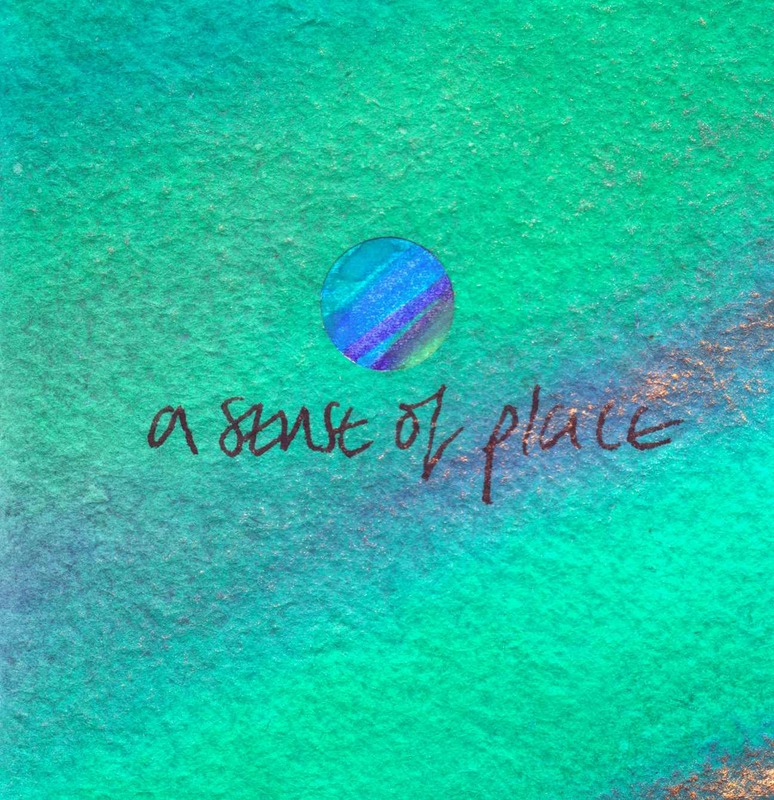 We can’t possibly work any harder on ‘a sense of place’ until we clear some more time for it. Early that Autumn Sarah goes on a retreat in southern France, this one run by someone else. To give her time to think. She comes back resolved and confident about leaving her day job. We talk, and dream and realise we’re approaching the moment of change. The moment when we will become dependent on one another and our own skills and imaginations. We are approaching the leap of faith. So, being the symbolist hippies that we are, one evening we go out for a walk, find a low wall down the bottom of our road – and jump off it holding hands. We’ve done it! Our leap of faith in each other. Then we both go to our jobs and negotiate leaving. And both of them behave splendidly and with great kindness. Sarah’s, at Family Housing in Manchester let’s her leave with a contract to carry on doing some marketing work for them. Thank you Jack Pickett. And mine, Liverpool Housing Trust, gives me the best part of a year’s severance pay. Thank you again, Dave Bebb (also Dave Power and Elaine Grierson for your help). So, in November 1996, a year after our first paying gig, and with much subsequent experimentation and building of our idea, we both leave our jobs in the same week. And we’re not only free, we’ve got some start up funding. So now we’re ready to fly. And in the next episode? The two chums take their idea out into the world – and get married. A sense of place world without Macs in it?! I cannae believe it…..!! Yes, there was such a time! Just as well Sarah had such splendid handwriting. If we’d been dependent on my illegible scrawl we’d have got nowhere. I LOVE THAT PICTURE OF YOU TWO!! Thank you Lani, taken by a photographer from the local paper. Here, a lot of people take the Echo very seriously. And once we’d got our picture in the paper it proved we were ‘proper’! Glad you’re loving the story Rhona. We’re loving the telling of it. And so much more to come! And ‘mesmerisingly beautiful’ yes. But ‘cute’?? You two are amazing. You truly are! Thank you Nancy, we’d never get tired of hearing that! This is inspiring me a lot right now. Thank you both. I love the image of you both jumping off the wall in your leap of faith. This is great!! It’s wonderful to read a little about your travels with A Sense of Place. And to see that photo of you two from years ago. And I love the quilts!! Clearing is very cathartic, Kathi. And it’s best done with gently supportive others. So we’ll book ourselves on the next flight to Rhode Island! Thanks for all the great comments people, it’s lovely to have such a fabulous audience to share our story with. Looking forward myself to the next installment! Thanks Jojo, and welcome to the adventure!